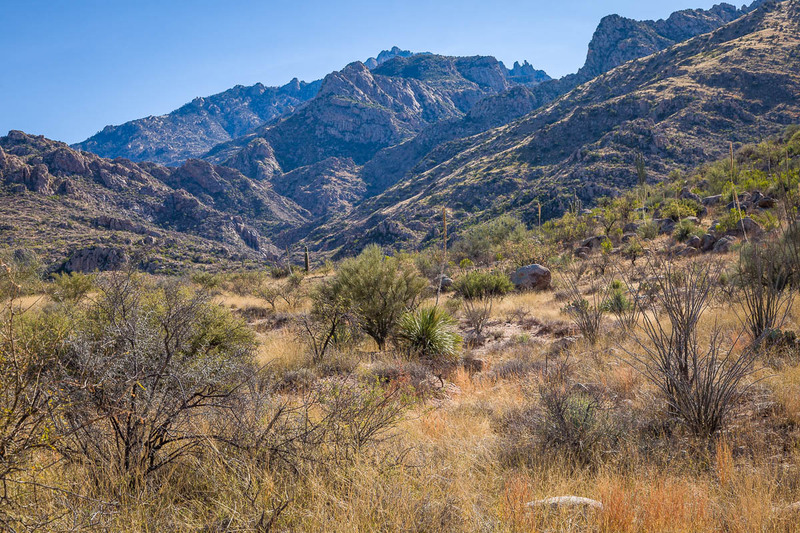 The Santa Catalina Mountains dominate the horizon as you approach Tucson from any direction. 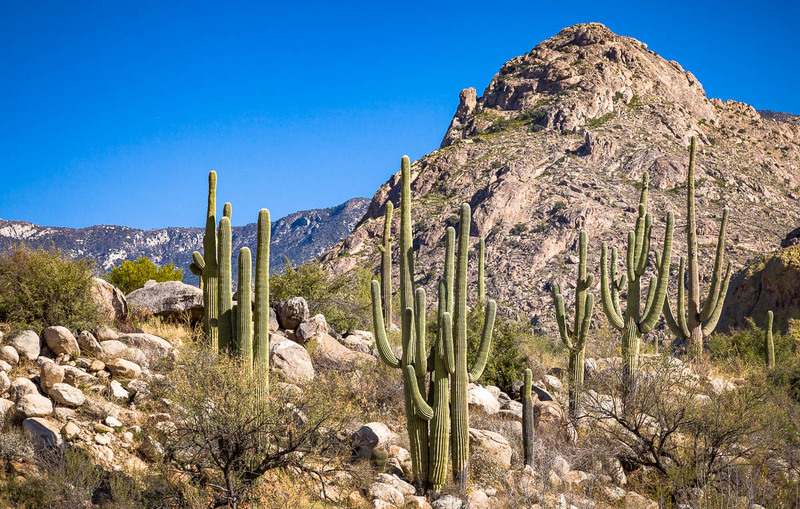 The tallest peak is Mount Lemon at over 9,100 feet, some 6,900 feet above the surrounding valley. 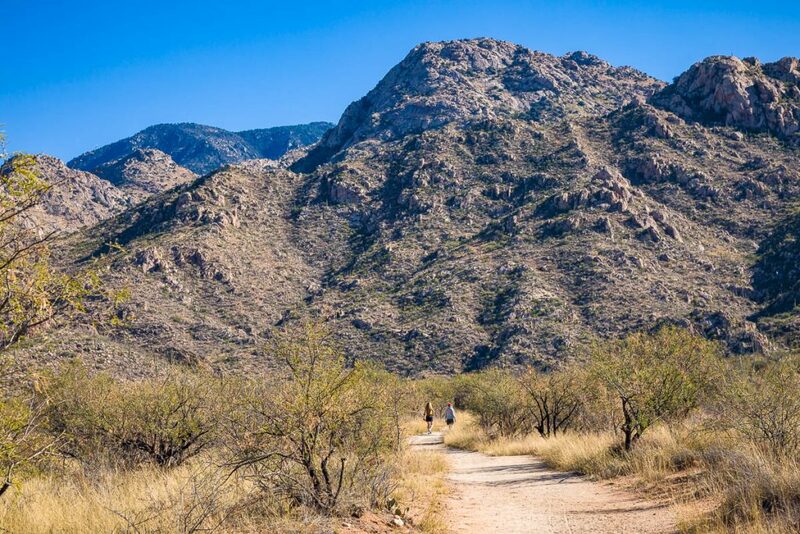 The whole range covers 200 square miles and is one of the largest of the aptly named Sky Islands of southern Arizona. 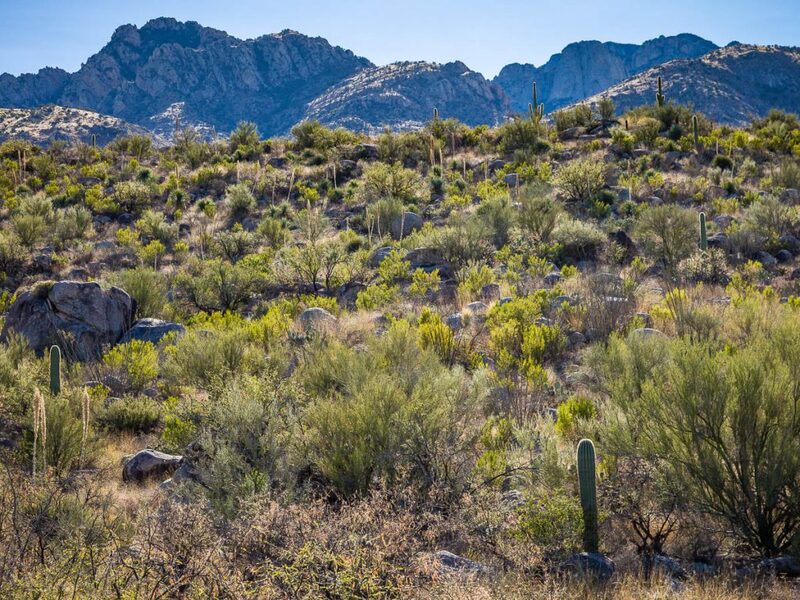 Historic US Route 89 (AZ 77/Oracle Road) passes around the western end of the Catalinas through the town of Oro Valley. 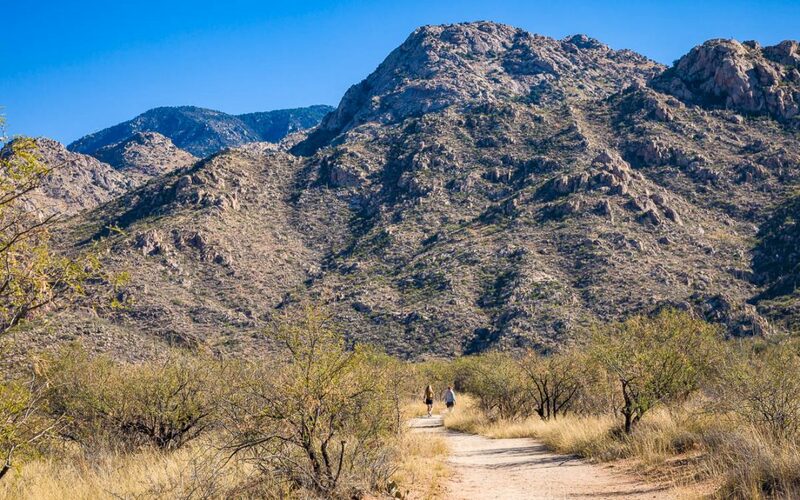 The entrance to Catalina State Park from Oracle Road is just north of Pusch Ridge, a high wall of rock that juts out like an anchor holding the mountains in place. 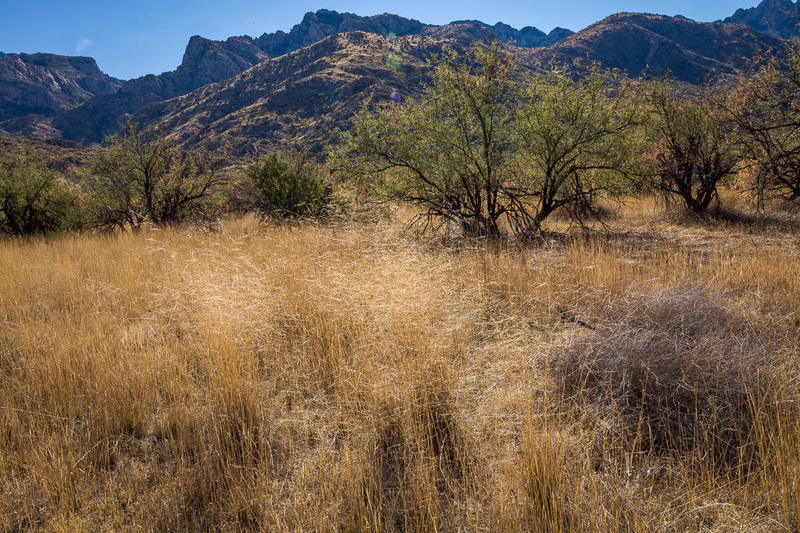 The first time I camped in Catalina State Park was in December. 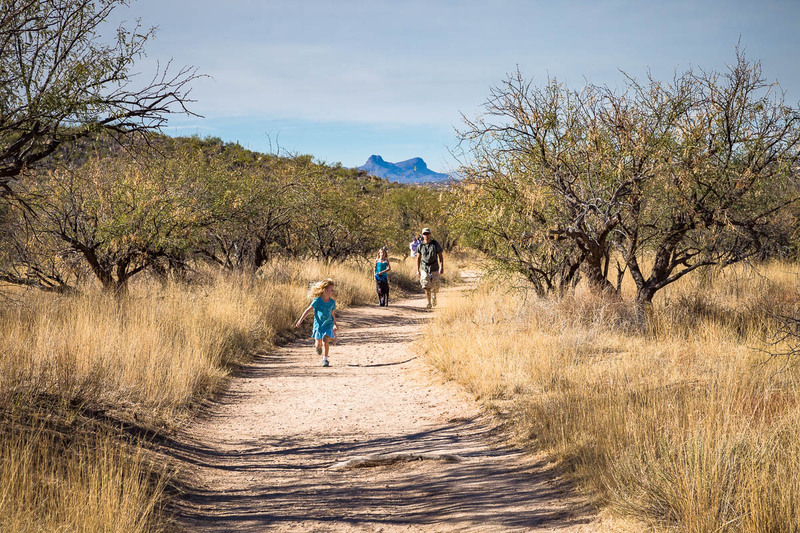 Winter temperatures are mild which makes hiking the trails that start in the park very pleasant. While several trails lead deep into the interior of the Santa Catalina Mountains, the park features four short loop trails ranging from three quarters of a mile to two and a half miles in length. I decided to spend a morning on the Canyon Loop trail to photograph the saguaros and desert shrubs that grow at the lowest elevations of the Catalinas. 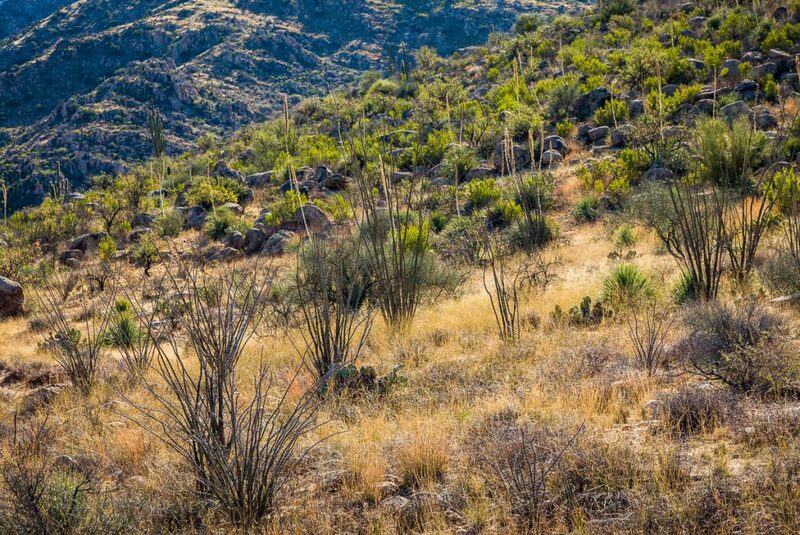 It was a brilliant, cloudless day with that clear light that makes the desert sparkle. 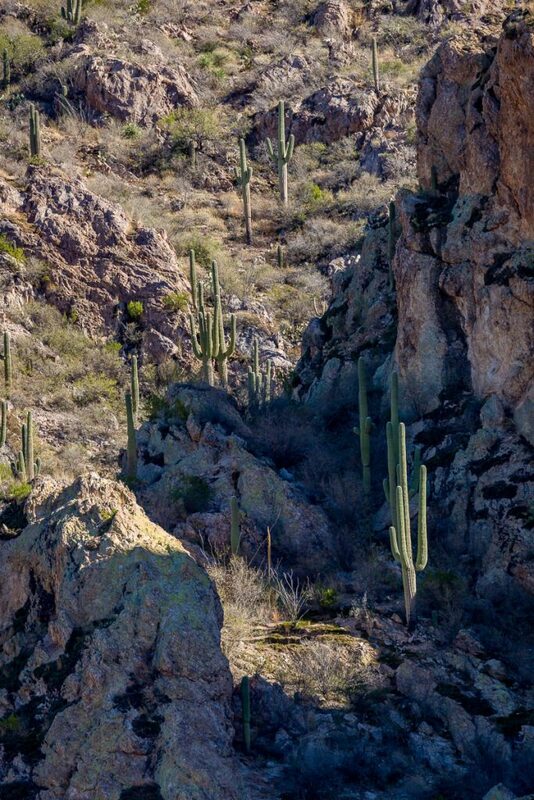 The trail also affords views of granite cliffs and follows Sutherland Wash for part of its length. 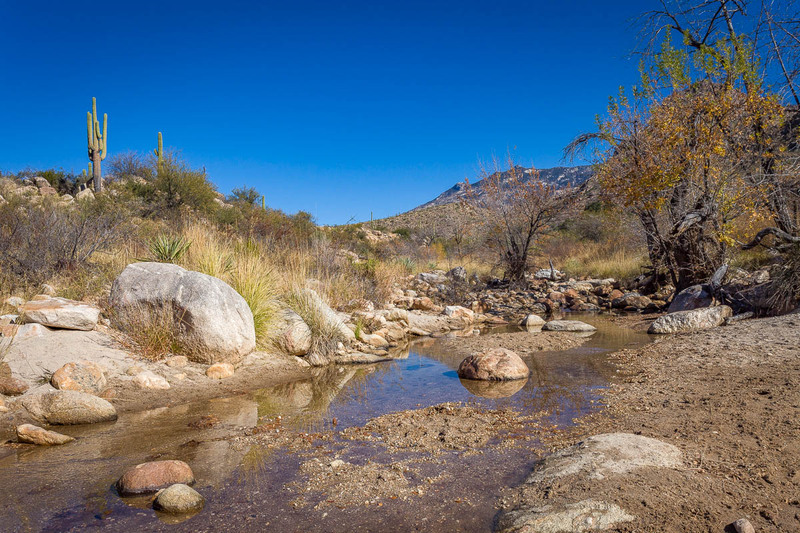 Catalina State Park has the only campgrounds at the base of the mountains. There are hook-ups for RV’s and spaces for tent campers with picnic tables and grills. There is also an equestrian center for staging trail rides and a small store where you can get maps, trail guides and books. 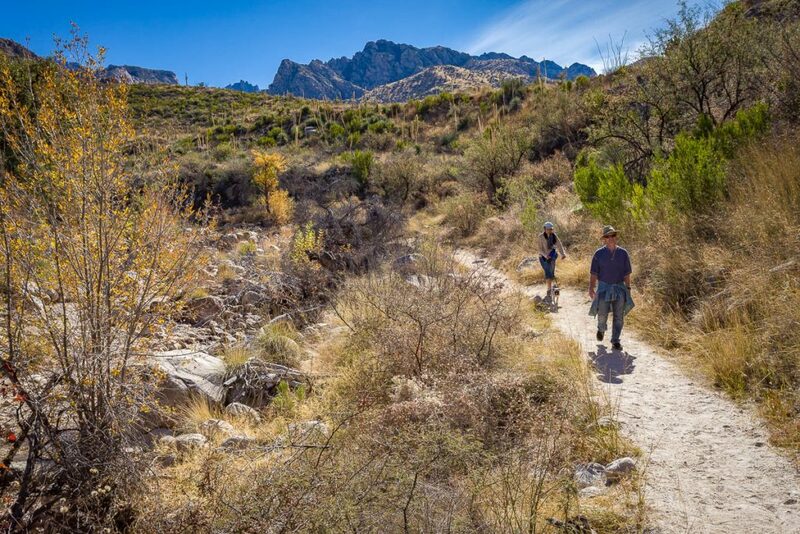 Catalina State Park is an ideal base if you want access to the backcountry trails for a multi-day backpacking adventure. 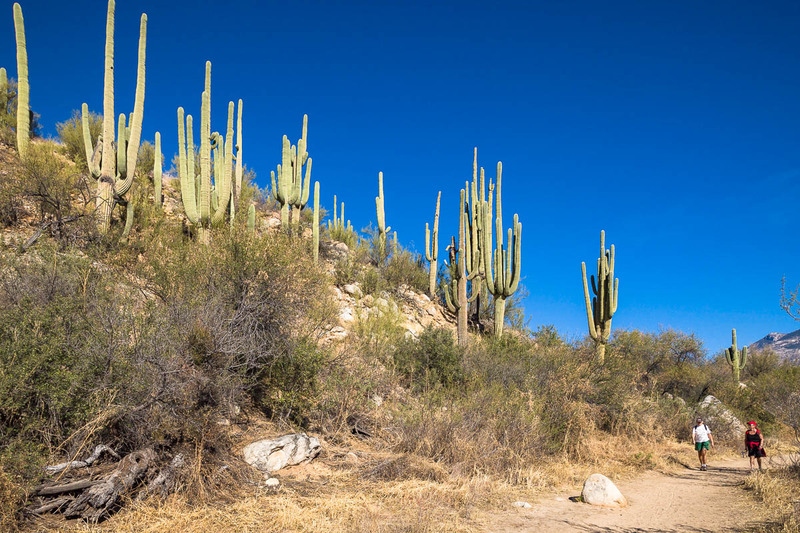 It is also perfect for the less adventurous wanting to enjoy a short hike in the Sonoran Desert and a family picnic. To find your way to Catalina State Park, go to the Tucson to Apache Junction Road Trip Guide.